This week’s short is deliciously macabre. The Lady ParaNorma is a story about a woman who hears the voices of the spirits around her, causing everyone of the townsfolk in her community to think she is mad. 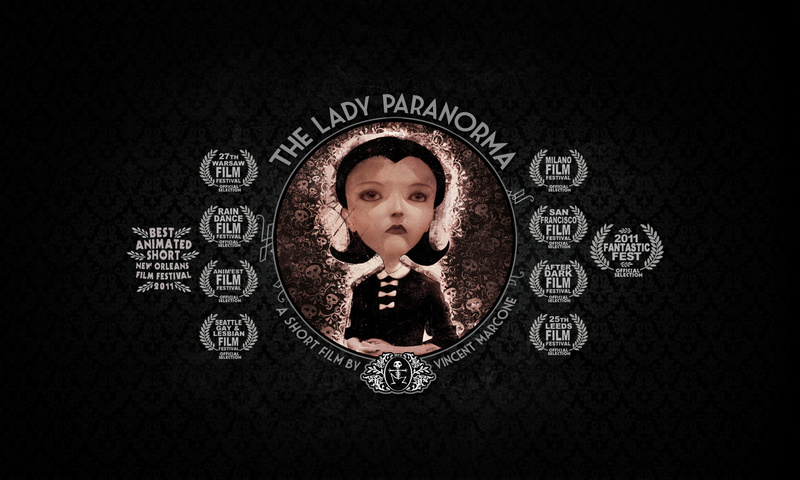 Told like a children’s story – though very adult in its subject matter – The Lady ParaNorma is a beautifully animated short that captures the isolation and loneliness that can become the byproduct of eccentricity. The title character’s gift only brings with it heartbreak, and yet the story somewhat revels, gleefully I may add, in that sadness. Like the early work of Gaiman and Burton, The Lady ParaNorma has us touched by it’s main character’s sadness, and yet we can’t help but smile throughout her arc. I do feel like the only thing that could make this short better would be the reanimation of Vincent Price so that he could narrate the tale (though Peter Murphy does one hell of a job in his place). I want to highlight this short, though it is already a few years old, because an illustrated book version of the story was released earlier this month. I had the chance to speak briefly with Vincent Marcone at Fan Expo in early September and actually picked up an early copy, straight from the printers with all of its chemically inky smell, and I can say with certainty that it is one of the most beautifully illustrated books on my shelf. Please do check out the short below, and if you like it, maybe you will check out the book as well.